Spotify is wrapping up 2017 with its biggest marketing campaign of the year that builds upon last year's "Thanks, 2016... it's been weird". The brand once again puts a humorous twist on user data to open a window into pop culture. 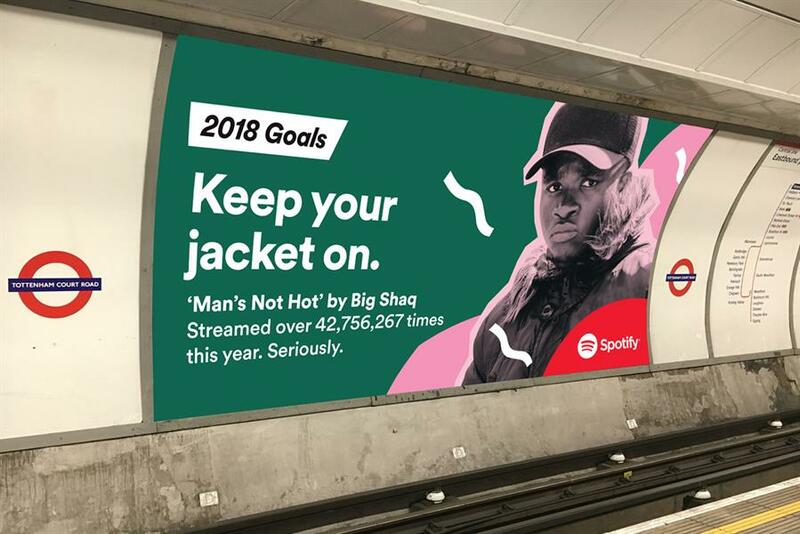 Featuring 70 artists including Ed Sheeran and Sam Smith, the ads will run in 18 markets and include straplines such as "2018 goals: Be as loving as the person who put 48 Ed Sheeran songs on their ‘I Love Gingers’ playlist". The work was created in-house by Spotify’s brand and creative team.